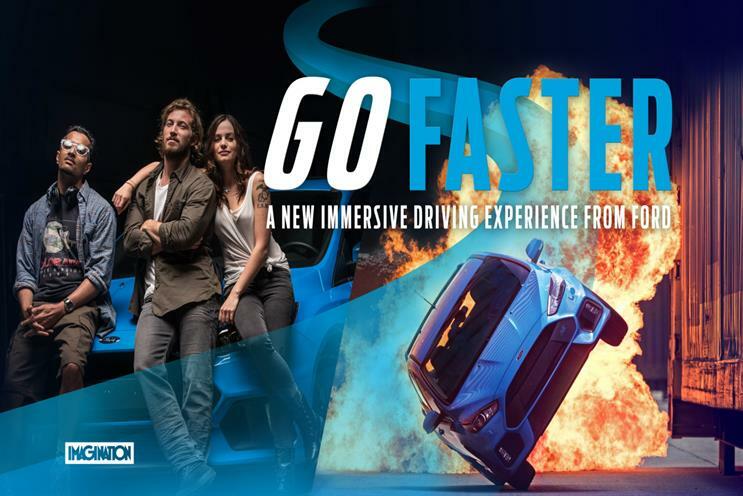 Imagination took its audience to Hollywood to launch Ford's Go Faster campaign, which won the Digital Experience prize. Ford wanted to create a strong emotional appeal as it sought to target higher-value customers. By replicating the fun and passionate 'personality' of its products, it created a new appreciation for the brand. Working with Imagination, Ford developed a Hollywood movie trailer, "Go Faster"; its story was similar to Ocean’s Eleven, with the target audience starring as the getaway driver. Those taking part went behind the scenes of a real working Hollywood movie set, learning how to be a stunt driver and actor. Part immersive theatre and part thrill-ride, the experience included in-character briefings, stunt driving and outdoor filming. Participants were turned into online celebrity advocates, with movie trailers and posters turned around by a team of onsite editors and distributed digitally with personalised in-character content, all of which fuelled Ford’s post-reach strategy. The experience was promoted via paid and owned social. The movie experience opened up the brand to a new audience, with 60% of participants under 35 and 68% non-Ford owners. The nature of the movie trailer, with its "brag-worthy" content, prompted people to share on social, opening up the reach of Go Faster to 2.4 billion people both on- and offline.